Salimian, A. (2015). Investigations on the Reinforcement of Mechanical Properties of Gypsum Composites Containing E-glass Woven Fabrics. Journal of Textiles and Polymers, 4(1), 20-26. Azam Salimian. "Investigations on the Reinforcement of Mechanical Properties of Gypsum Composites Containing E-glass Woven Fabrics". Journal of Textiles and Polymers, 4, 1, 2015, 20-26. Salimian, A. (2015). 'Investigations on the Reinforcement of Mechanical Properties of Gypsum Composites Containing E-glass Woven Fabrics', Journal of Textiles and Polymers, 4(1), pp. 20-26. Salimian, A. Investigations on the Reinforcement of Mechanical Properties of Gypsum Composites Containing E-glass Woven Fabrics. 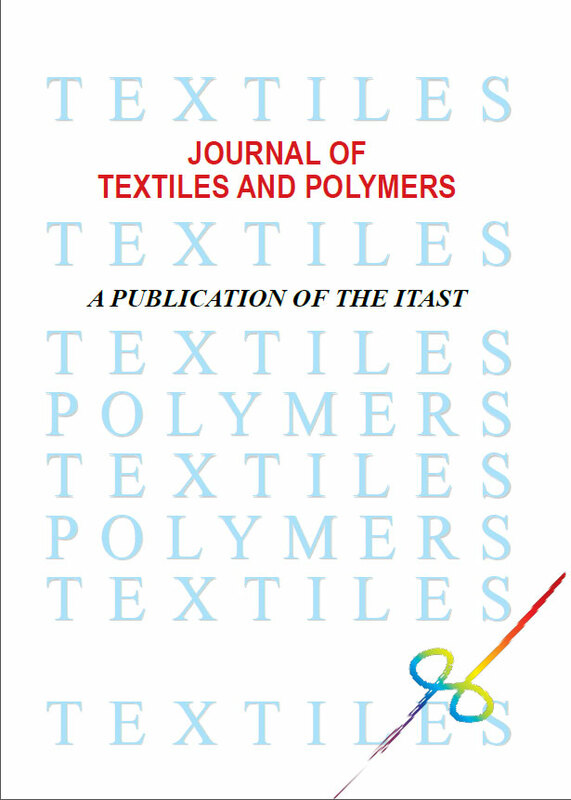 Journal of Textiles and Polymers, 2015; 4(1): 20-26. Glass fiber reinforced gypsum composites are new building materials that have been used in covering interior walls. Reinforcement by means of woven fabrics as a three dimensional material is an alternative to the use of short fibers. The application of appropriate fabrics can improve mechanical properties of gypsum composites. The aim of this research article is to investigate the effect of the application of mesh fabrics on mechanical properties of gypsum composites. To do so, three types of fabrics made of E-glass yarns with leno texture - to strengthen the warp and weft of the fabric in the gypsum mixture- were used. Bending, tensile and compression tests were carried out on them, and then statistical analyses were performed on the data. The results showed that the bearing capacity of compressive load in gypsum composites strongly depends on the joint between the layers of fabrics and mortar. The strength of the fabric plays an important role in the bending behavior of composites and the joint between the yarns of the fabric and mortar is the effective factor in the tensional load capacity. vol.19, no. 4, pp.265–274, 2005. PPTA short fiber reinforced gypsum composites,” Comp. Mater. Sci., vol.50, no. 5, pp. 1619–1624, 2011.
modes of concrete cylinders reinforced by glass fabric,” Mater. Design, vol. 27, pp.601–604, 2006.
fabric–cement composites,” Constr. Build. Mater., vol. 25, no. constructing same by E. William, M. Newton and W. Tucker. (2011, mar. 8). Patent D 7902092.
materials (Composite structures behavior)”, (Translation B. University Press, 1st ed., Tehran, pp. 52-67, 2009. J. Aghazadeh Mohandesi, A. Sangghaleh, A. Nazari, N.
composites”, Com. Mater. Sci., vol. 50, pp.1619–1624, 2011. Constr. Build. Mater., vol. 38, pp.407–412, 2013.
composites,” Fiber. Polym., vol.11, no. 8, pp.1181-1186, 2010. 1st ed., Tehran, 2007, pp. 423-427.
requirements, EN Standard 13279-1, 2009.